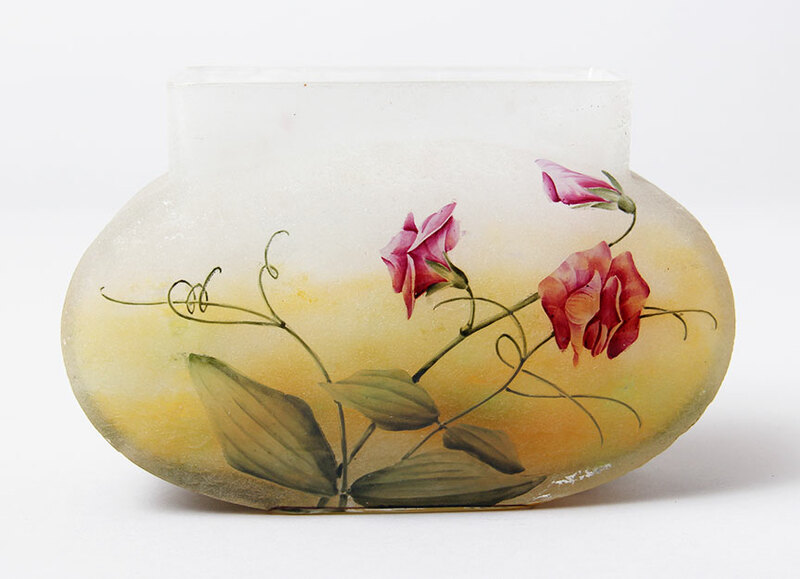 ChasenAntiques.com - Search results for "2806007"
Sweet peas have lovely flowers, as beautifully depicted on this special-shaped vase on all four sides. The techique is acid-etching, followed by hand-painted enameling. 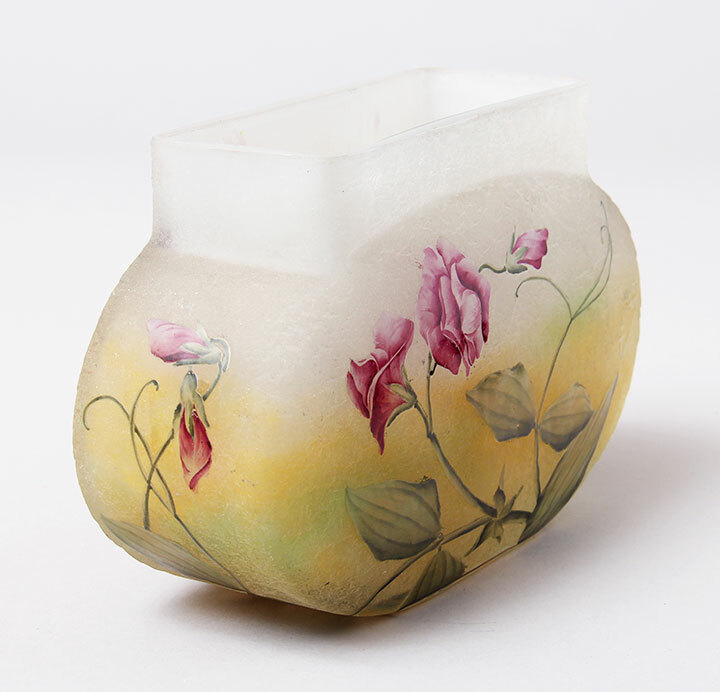 It results in highly-detailed, realistic flowers. The rectangular-shaped mouth is moderately rare and desirable. 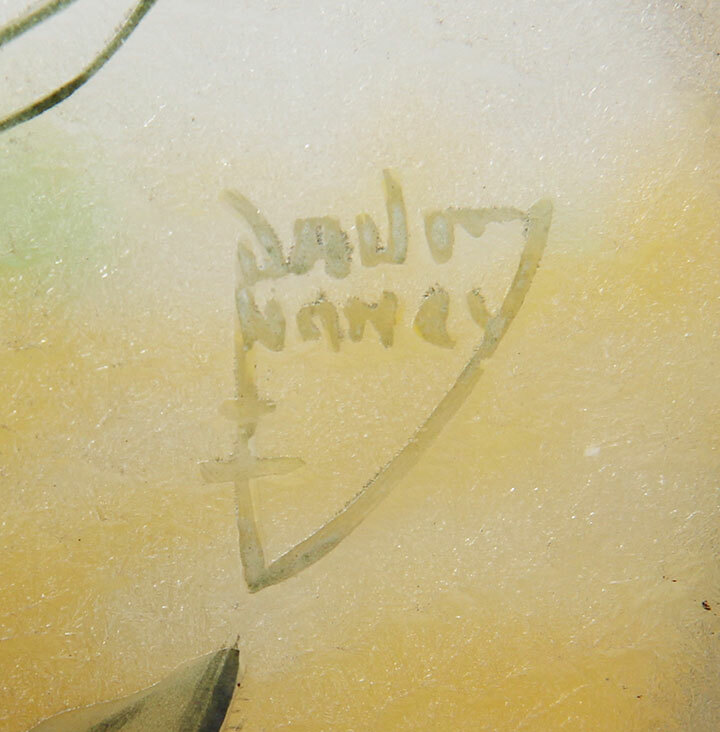 The cameo signature DAUM NANCY, is acid-etched in the background, together with the Cross of Lorraine. 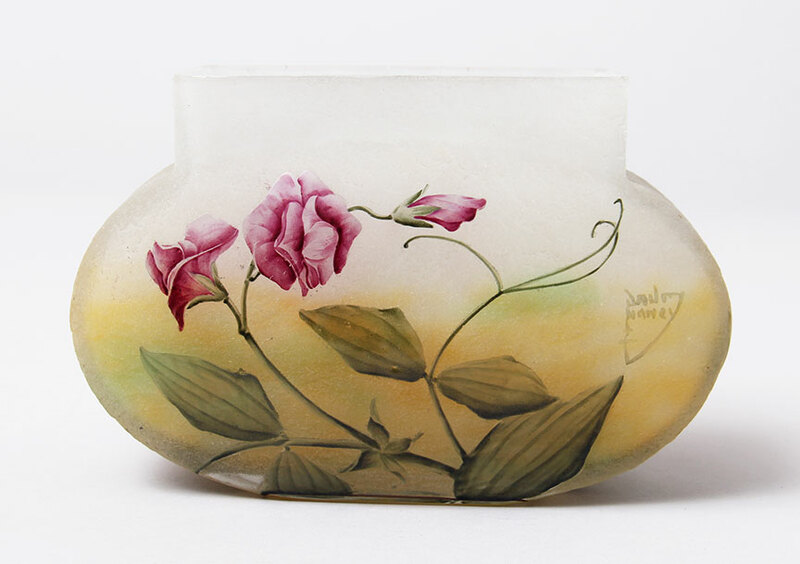 The vase measures 4" tall x 7" long x 3" wide -- a perfect cabinet size. The condition is mint.